I was born in Halifax in 1942, the first-born to the late F. Harold Wilson (d. 1973) and I. Mabel Keyes (d. 1953). I am survived by my soulmate, best friend and dearly-loved husband of 27 years, Robert "Bob" Fougere. Also surviving me are two adored daughters, Mamie MacIsaac and Hilary Doucet, and their mother, Heather Wilson; siblings Murray (Elaine) and Linda (late Paul) Power, and many many others in my extended family. All of you have influenced my life in so many ways and have taught me to forgive, to mature, to love and to grow in love and, hopefully, to have become a better person. Regrets, I do have. I have had a fantastic life despite having had a great trauma early in life with the death of my mother. I thank you all for the great adventure I have had on this earth; it has been phenomenal in so many ways. 1966 saw the beginning of my love affair with handcrafts. Our first daughter was expected and Heather and I both decided to knit some baby things. From kitting to needlepoint, ceramics, macramé, rug hooking, crochet and many other crafts -- all proved to be rewarding hobbies over the years and filled many an evening with satisfaction and purpose. I began accounting studies in 1962 while working for Price Waterhouse in Halifax. Our family relocated to the Port Hawkesbury area in 1970 where I took up a position with Stora (Nova Scotia Forest Industries Limited.) The town was booming and we were among many other such young families that had moved to the area. We had good friend with whom we enjoyed many, many good times, more than a few laughs, and many activiites involving our children -- highland dancing to name one. Challenges, there were a few, like driving to Disney World with 10 and 12-year-olds who were forever asking "How much further?" and a wife who wanted to stop and shop along the way and an exasperated me who caused untold amounts of undue stress because I just wanted to drive nonstop! But, survive we did! Rural West Bay was a wonderful place for Marnie and Hillary to have grown up. Our home often echoed with squeals of delight, and a few arguments, as many of the village children congregated at our home. And, Stora was a wonderful place to have worked; it was a fabulous employer with great people. I have had lifelong friendships with a number of my former co-workers. This chapter ended in 1987 when Heather and I separated; however there have always been lots of great memories from this period. Mamie and Hilary have been the constant in my life; my love for them truly has no bounds. Each has a unique personality which has afforded me the opportunity to learn from them and realize the depths and intensity of my love for each of them. My love for each has never wavered in focus and has grown over the years. With Bob I gained a stepdaughter and a stepson whom I have loved dearly, and our four grandchildren have brought such joy to our lives. I retired from Stora in 1998 as Vice President - Finance & Administration at which time Bob and I moved to the Halifax area. We have travelled extensively during our time together, across Canada and the USA, to many Mediterranean and Baltic countries, France, England and most recently to Iceland. It has been simply fantastic... more than the imagination can comprehend sometimes. Upon relocating to Halifax, Bob and I became very involved in volunteer work with Safe Harbour Metropolitan Community Church (a Christian church founded and run by the LGBTQI community) until its closure in 2011 and its Manna for Health outreach ministry which survived the church closure. For 19 years, we have continued that involvement with Manna, a special needs food program whose purpose is to assist in meeting the nutritional requirements of people living with HIV and other life threatening illnesses. 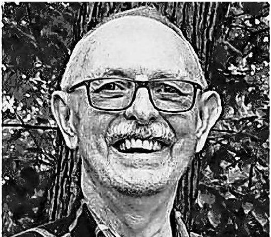 For many years Bob was on the forefront of the LGBTQI rights movement here in Nova Scotia through Safe Harbour, Nova Scotia Rainbow Action Project, the Youth Project and other endeavours. I have been honoured and delighted to have supported him all the way and was, myself, sometimes in the limelight. I ask that if you wish to make some sort of memorial donation, that it be to Manna for Health or to a charity of your choice. Manna's mailing address id 6199 Chebucto Rd, Halifax, B3L 1K7. My request is for no funeral or visitation. Bob will arrange for a family get-together, and for an informal public reception at some point in the future. Please feel free to come and socialize with a glass of wine and some nibblies. The reception would be a good time to reminisce, tell a few colourful stories and have a good laugh; in other wors, a way to exercise my "... special way with the English language." I have been able to laugh in most situations I have experienced, be they joyous or sad; come, keep up my tradition. I have recently learned that my ancestry includes an Irish component. So at the risk of being plagiaristic I will quote from an Irish novelist: "My life has been showered with shamrocks." Truly! Sam would like to acknowledge, with thanks the wonderful quality of care he received through every aspect of his long and sometimes difficult journey. Particular acknowledgement to our family doctor, the cancer care group and the palliative care team. he would have been very pleased to know that we have been able to donate his brain to the brain bank.